Open source hudguns to show the use of bone and tag for hweps and vwep. This is a conjunction with a request for hudguns tutorial. Use this as a reference on how to make hudguns and vwep. I'll wrote more about this later. Zip contain source file. *export to md5 and to Sauer. 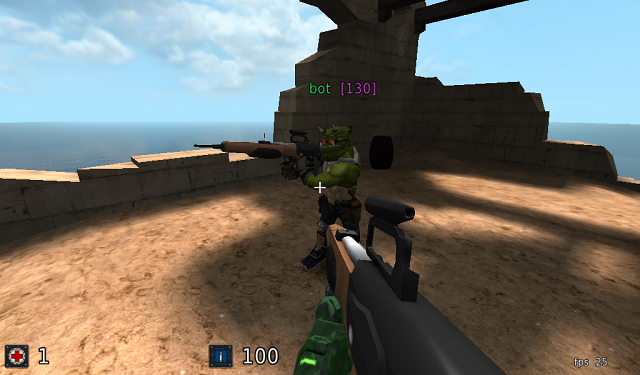 The model is taken from opengameart.org by mrpoly http://opengameart.org/content/assault-rifle. and extract to Sauer folder. Thanks Pyccna I didn't realised they post those recently I check.